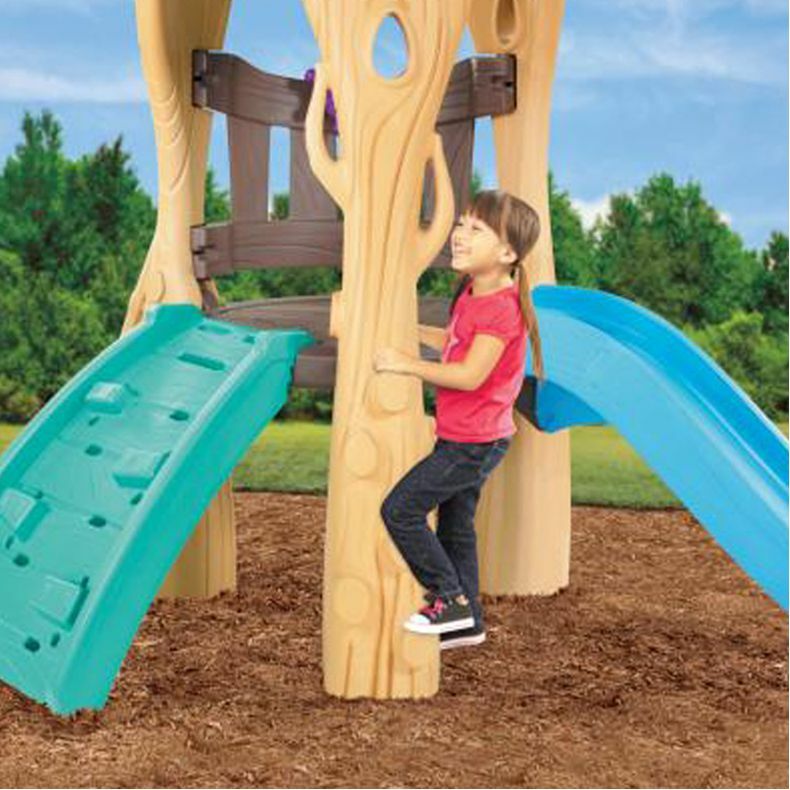 A backyard “tree” house with swing set that includes a climbing wall, sliding board and more! 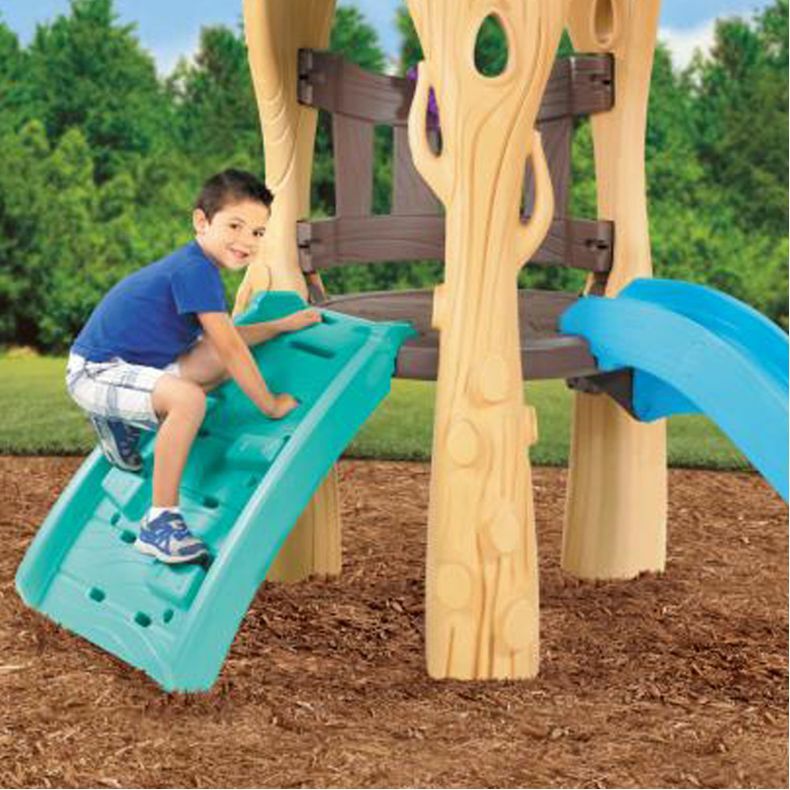 Kids can limb to the platform two different ways, the climbing wall or by climbing the tree trunk then they can slide down and do it again! 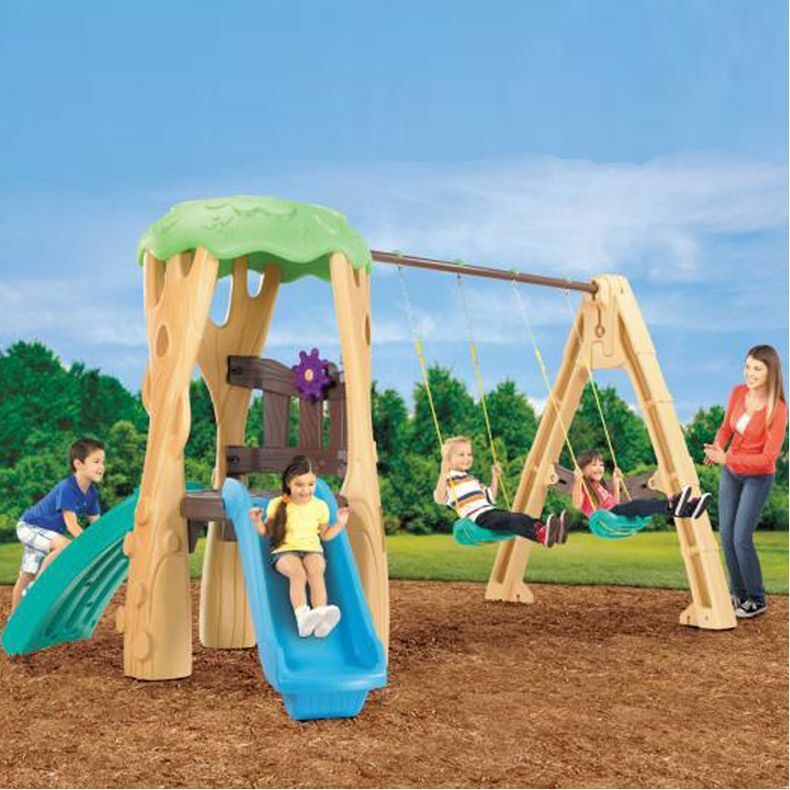 Kids will get years of enjoyment from this fun and durable swing set. 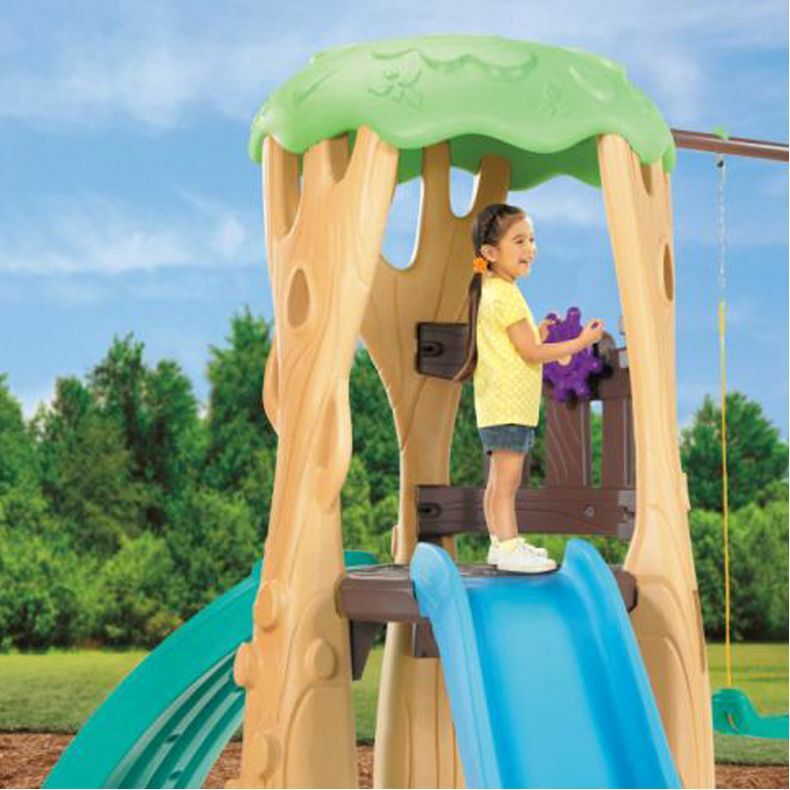 Product Size 139.00''L x 93.44''W x 80.90''H --- Weight: 146.70lbs. Box Size: 83.00''L x 25.50''W x 46.00''H --- Weight: 152.70lbs. 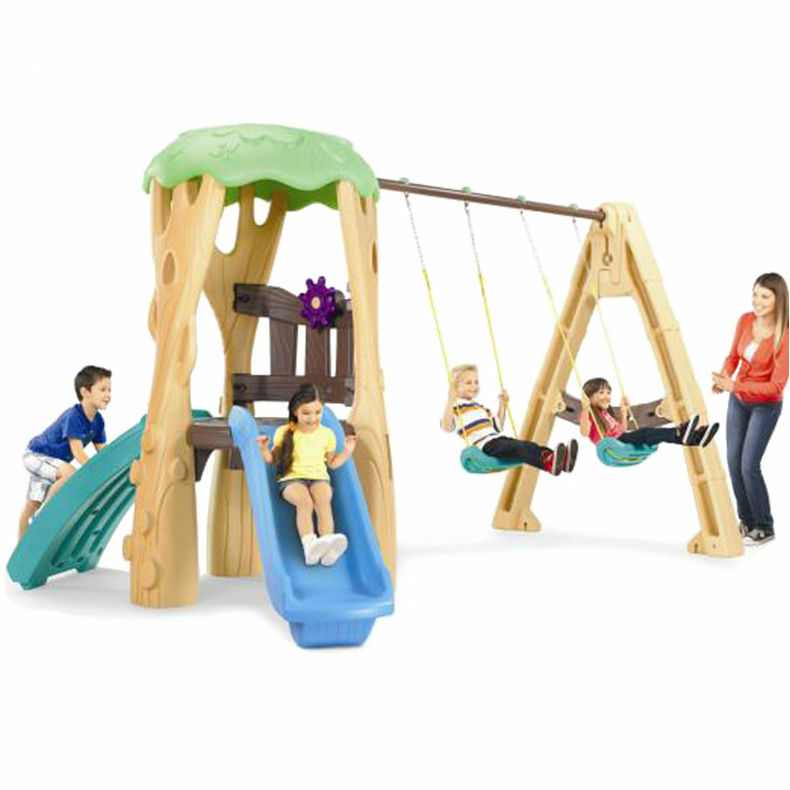 The Clubhouse Swingset is intended for home / school backyard use only.